We hope you like what you see here, because we are quite confident you will love us once you dine at our restaurant. Our goal is to convey the same spirit of dedication to excellence in hospitality and service that we show our patrons every day when they walk through our doors! This is a BYOB restaurant. They always have the most amazing specials! I have been to Monalisia several times. It is definitely a favorite of mine!! Going out to dinner isn't only about quality and delicious food, of which this restaurant offers. It's the entire package and Monalisia has it all. Delicious food, generous portions, very clean and warm and welcoming staff! From when you first enter, the hostesss, Christine, always greets you with a smile and makes you feel welcomed. This is extremely important, as this sets the tone for the evening. The waiters and waitresses are the friendliest that I have ever encountered in a restaurant. Alam, the chef, is the best, as he always tries to come out to visit his customers, making sure everything is met to their satisfaction. I have never ever been disappointed!!! It is a cozy semi-formal atmosphere. Service is friendly and good. Food is excellent! This is not budget dining, but you get what you pay for. Fresh, delicious, in season ingredients. Also, byob. The food is excellent and the employees all friendly and accommodating. However.....our reservations were made through Open Table and when we arrived the restaurant had no record of our reservation. Reserved table was ready, staff was friendly and efficient, food was excellent as always. Always have had a good meal!!! The weekly special 4 course dinner is a good deal too! ABSOLUTELY FABULOUS. AS ALWAYS!!! Can't say enough good things about it. The place was way too small and extremely loud. We were rushed out of the place, so that they could accommodate large groups. It was my first time at your restaurant and I enjoyed it very much! The food was so delicious and our waiter was wonderful! I can’t wait to come back again! It was fabulous. However, very crowded and noisy. I had a reservation yet people were being seated before me. When I addressed the hostess she talked to a waitress and I was sat next to the bathroom. I asked the hostess if I was being punished she told me people request that table because its in the corner.. although it was right in front of the bathroom. People were in and out and it did disrupt my dinner. Fabulous all around! Food, cleanliness. 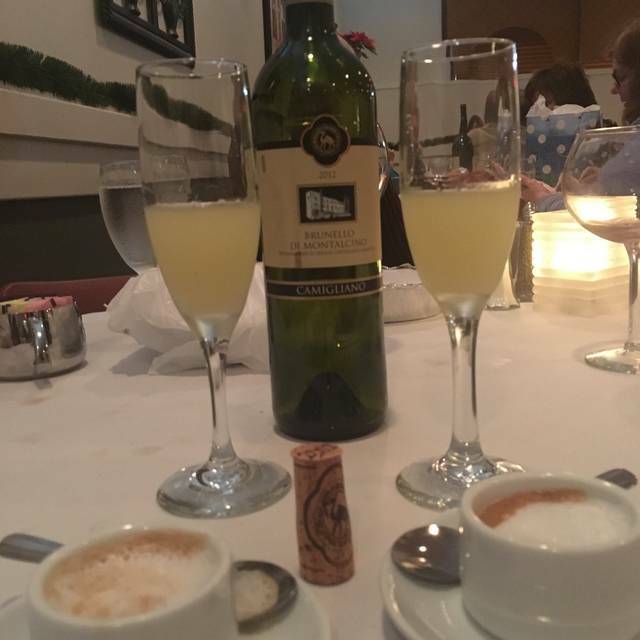 ambiance and friendly, pleasant staff, makes for a great night out. I called to advise them I was running 10 min behind for my reservation, the lady told me no problem at all. When I arrived, the place was packed but still got my seat right away! Staff is very friendly, service is great, and the food is exceptional! Will definitely visit again as well as recommend it to friends! Excellent and consistent. Chef is personable and so is staff. Love it! We tried the Monalisa for the first time tonight. I fell in love with the place as soon as I walked in. Noise level is low and was nice to be able to have a conversation without yelling. The hostess and waitress were pleasant and helpful. The food was amazing. Owner cares very much about the place as he came out and talked with us as well as others. Looking forward to a return visit. We love it ! The food is always great service is great the hostess is always pleasant! Great little neighborhood gem! Authentic Italian dishes at reasonable prices. Everything was delicious. I had the cedar planked salmon and my husband had the chicken saltimboca. Both were excellent! Service was friendly and very prompt. We’ll definitely be back again! Monalisia has quickly become a favorite of ours. Great food and excellent service make this a great spot. Went in for my mother’s birthday. We were sat quickly and Debbie took amazing care of us. As usual. Can’t say enough good things about this place! 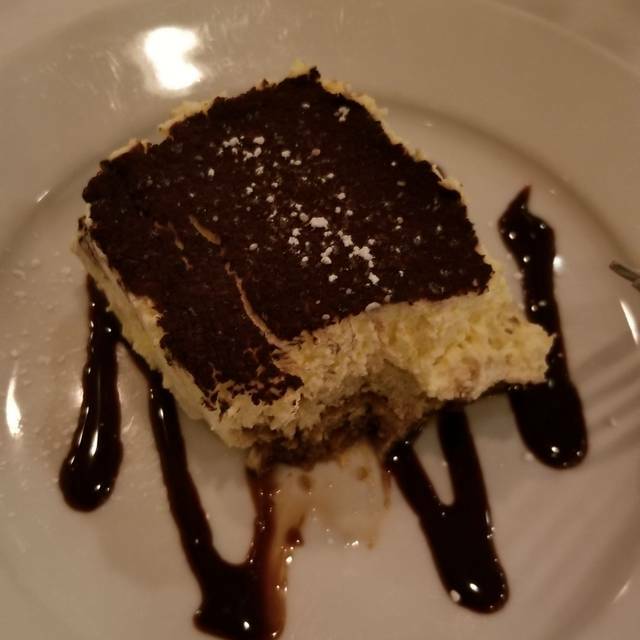 We enjoyed our dinner, however I was disappointed that I had called the previous day and arranged to have desserts that I pre ordered brought out for the birthdays we were celebreating. They never came and our server had no idea what I was talking about so there was never a note made on our reservation. Food was good otherwise. The service and the food were excellent. We had a party of five and everyone loved their appetizer, entree and dessert. We will definitely return soon. We frequent this restaurant. We have never had a bad meal or bad service. We highly recommend it! As always, food very good, service very attentive. Never had a bad meal there! I love this Restaurant. The food is always delicious, the servers are very polite and professional. And as an added benefit it’s a byob. If you forget your wine you can buy a bottle from a local winery which carry. They also can cater parties which are lovely and very reasonable. Ate everything on my plate, including dessert. A nice place. Good food. A little noisy, though. Food was excellent and the service was great. The staff is friendly and accommodating. We had a wonderful night out with friends in an elegant and friendly place. AWESOME! 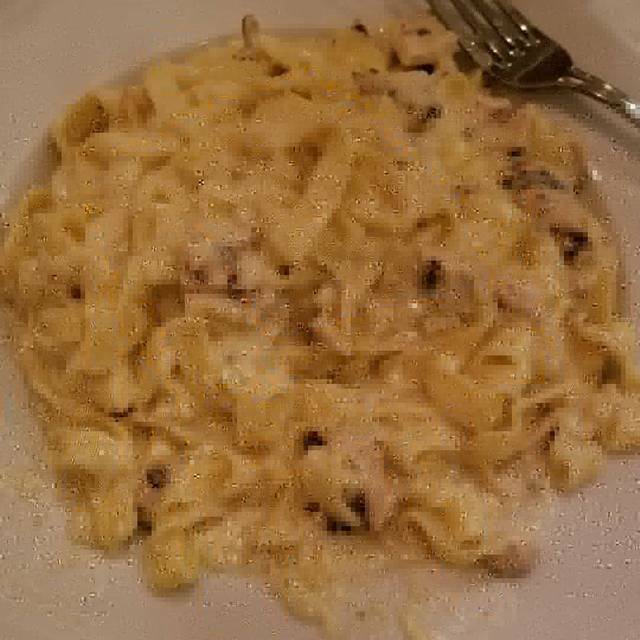 This is by farvthe BEST Italian food around! If you want awesome food and aweome service make sure you go! My husband and I were dying to try this place after hearing about it from friends. It is a great BYO to go to with a nice bottle of wine. There are a ton of food options, so there is something for everyone. We tried the flatbread with longhots, scallops wrapped in bacon, calamari, and clams casino for our appetizers. Each app was great and cooked just right. The house salad was also good. 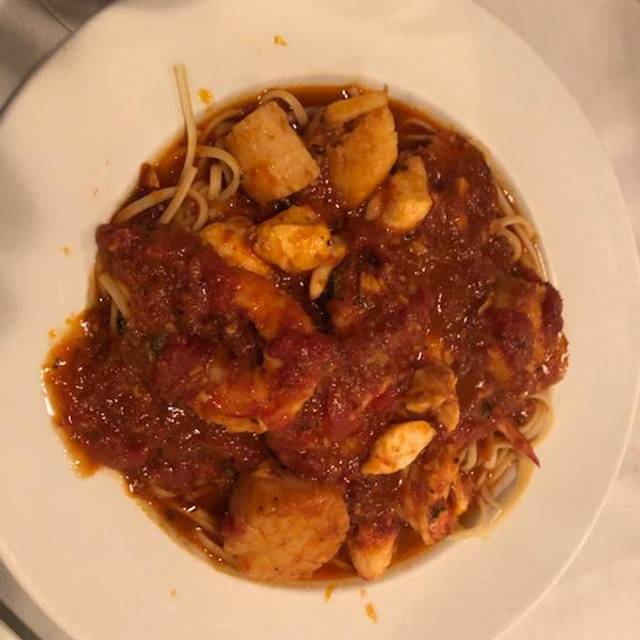 For dinner I tried to Eggplant Parm and a side of gnocchi (which were homemade) and my husband the Fruitta di Mare special...both were very very good! My dish is self explanatory, his had a nice amount of lobster, shrimp, scallops, and crabmeat. His pasta was cooked just right. The diablo sauce was good as well. The only reason we skipped dessert was, because of all of the apps we filled up on. We can't wait to go back, because there is more we would like to try from the menu. We were celebrating a birthday. The service and food was excellent. We look forward to our next visit. Was flavourful, and rich with Flavor. It was paired with fantastic mushroom risotto- he was a very happy man! I had a diver scallop special that was just delicious. 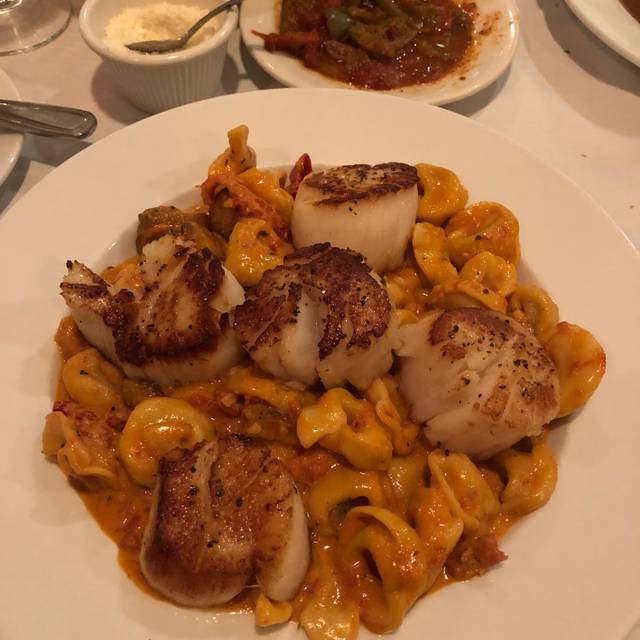 Perfectly seared huge diver scallops over top of tortellini covered in a beautiful sun dried tomato/mushroom cream sauce. Soooo good. We love coming here— not only is the food great, but the staff is warm and attentive! Thank you again for a wonderful meal!!! Our favorite restaurant to go to!!! We try something new all the time! They never disappoint!